My faith has been shaken. A few weeks ago, I asked all of my loyal Manifesto readers to help support me in my quest to get the most Toothy clicks. (A big thanks to everyone who clicked, btw.) Though I felt a little guilty asking, I figured the videos would at least provide some mild amusement. And then my old high school friend, Jeff "Hoover" Hoffman dropped the bomb. "This is a total rip-off of my 4th grade video project. I was the original Toothy. I'll have to see if I can find the old VHS it's on and get it uploaded. Then the royalty checks can start pouring in." I, of course, did not believe Hoover. "I'll believe it when I see, Hoover. You dirty dog," I responded. I watched it. The story checks out. Without further ado, here's the 10-year-old Hoover starring as Toothy, the main character in this Hollywood-quality production. It's his evil-cavity-father, however, that really steals the show. What can I say? I'm a fraud. Once again, Curtis makes a mad dash toward the podium from our seats in the back. I grab him by the back of his elastic waist. "Dad, let go, let go, LET GO MY BUMPER!" Who would have thought that a quick visit to Solvang, California (as close as I ever gotten to my Danish roots) would result in a brush with celebrity. Back in the day, I was often mistaken for gay N*Sync astronaut, Lance Bass. So you can only imagine my reaction when I looked him right in the face at Paula's Pancake House. I quickly returned to Traci. "I'm 95% sure I just saw Lance Bass," I said in my Lucille-Ball-on-The-Simpsons whisper-voice. Since I couldn't convince Traci thusly, she took matters into her own hands. Or rather, she took herself to the bathroom. "It's him," she confirmed with ear-to-ear grin. 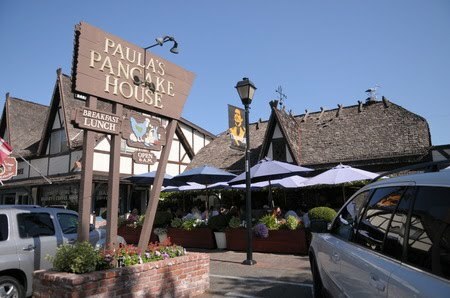 Yep, Lance Bass eating pancakes with a group of dudes in Solvang, CA on a Saturday morning. He was gone by the time we left, so we were unable to say, "Bye, Bye, By-ye" to Mr. Bass. Lance Bass and receding-hairline-me are no longer doppelgangers. My life is over. I didn't want to go the CVS Pharmacy to buy makeup remover. After my homie Rhett's wedding rehearsal dinner in Los Olivos, CA, Traci and I stopped at the Albertsons to pick up some breakfast supplies for the next morning. I was ready to head back to Rhett's parent's ranch in Lompoc but Traci thought it best to be a good guest and spare the white towels from the black mascara. And that's when we saw him. Luke from The OC. Standing at the cash register next to us with a buddy. Buying massive amount of Smirnoff Ice and Bud Light. At the pharmacy. On a Friday night. In Buellton, CA. Here are all of the things I thought about saying to him in the time it took the cashier to ring up all of the alcohol. --Why's he buying all this alcohol at the pharmacy? This was pretty much the best Friday night in Buellton ever. Sometimes Paige says cute little things to me. Out of the blue today, while we were driving in the car, she said, "I like sitting by you, dad." Curtis, not one to be left out, shared his feelings as well. "I like pizza, dad." Congratulations, MGMT - Though they've put out some great singles, this band--and this album especially--are pretty disappointing. Pearly Gate Music, Pearly Gate Music - Both slow and mopey (a la David Bazan) and '60s hippie rocky. Pretty good. Goodnight Dannii, Drew Danburry - Probably Provo dude's best record. He gives most of his music away for free at drewdanburry.com. Check it out for sure. Permalight, Rogue Wave - Rogue Wave get dancey on this one. Highly recommended. The Last Place You'll Look EP, We Were Promised Jetpacks - The EP is okay, but not nearly as good as their debut LP. Start there. Habits, Neon Trees - These Provo-ites are going to be the next big thing with their Killers-esque new wave. Paramore - The phones at my work went dead the second I was supposed to do the interview. I ended up having to put my little recorder up to the ear hole of my cell phone. Nothing recorded, thus making it a bit tricky to pull quotes. Drew Danburry - He's playing his last full-band show at Kilby tomorrow night if anyone wants to go with me. The DVR let us down. Instead "Pregnant at 70," it actually recorded "Wild Child: The Story of Feral Children." Though I can't stand Traci's Whoops, I'm Pregnant-type shows, I actually got sucked into the stories of children being raised by wolves and neighborhood dogs. And I had nightmares all night long. I am happy to see that Traci has DVRed "Pregnant at 70." I was afraid I would miss it. 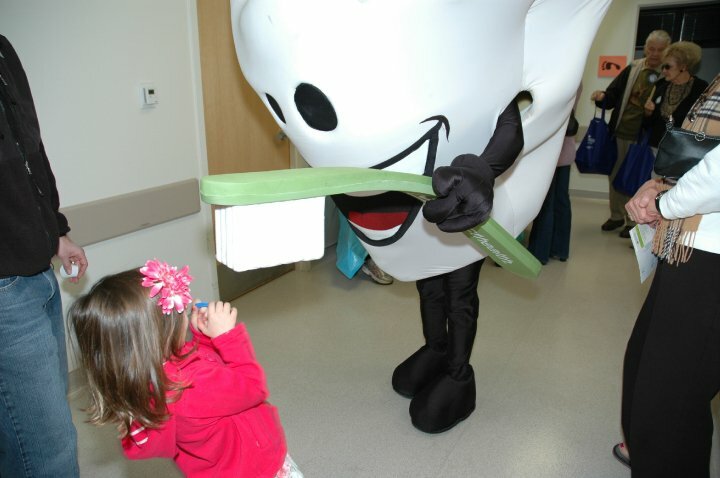 We did two days of shooting for the Toothy commercials. On the second day, I bought lunch for the crew lunch at my work's cafeteria. It only caused a little commotion having a giant tooth going through the salad bar line, but it really did a number on the guy making the sandwiches. Toothy can't talk, of course. So I would say, "Toothy, do you want ham?" He holds ups two of his four fingers. At one point, the sandwich guy looks at Toothy, and then looks at me and says, "Uh, you're seeing this too, right? 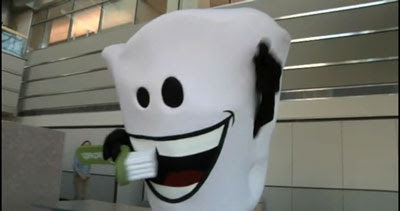 I have made decisions in my life that would make seeing a giant, talking tooth a little bit trippy. I'm kind of freaking out right now." Once again, Paige puts me in my place. Just a few bars into me singing "One More Time," she says authoritatively, "Dad, you're not Daft Punk." 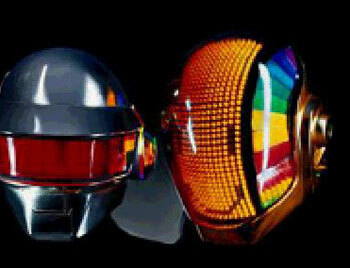 And in case I didn't get the message, she adds, "You're not Daft OR Punk." It's nice when you have a job that is willing to take advantage of your extensive mascot-handling experience. I've had many crazy experiences since becoming the owner of Toothy, the giant tooth, that I'll share soon.